The building industry has transformed over the years. Today, there are numerous home improvement techniques you can choose to enhance your home’s appearance. 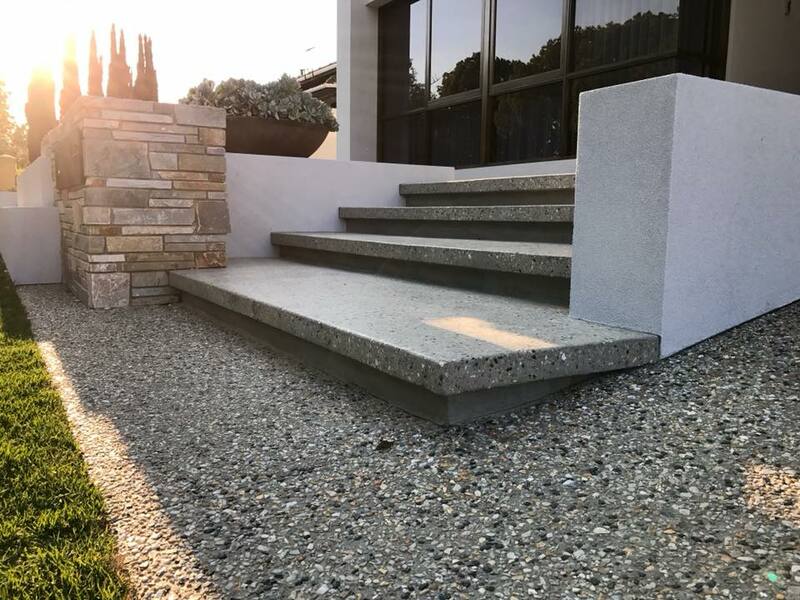 Our decorative concrete contractor & specialists in Perth include the use of concreting techniques to improve a home’s aesthetic value with high-quality finishes. This includes pool decks, walkways, concrete floors, acid stain for your garage floor & more. You can use decorative concrete in various parts of your house such as the walls, floors, footpaths, patios, entryway, crossovers and driveway. Various materials, such as sealer and cement, are used to transform ordinary concrete into a decorative finish. These can either be added after the concrete curing or amid the pouring process. The materials include stained concrete, coating, decorative overlays, countertops, staining and polished concrete. Absolute Scapes is a family owned and operated business with its headquarters in WA. We also offer our services to the surrounding areas. We have been in the concrete industry for more than a decade and a half, throughout which we have accumulated tremendous experience in concrete construction projects. If you looking to get decorative concrete flooring or resurfacing done, contact us today. We are committed to helping you revolutionize your home & concrete floor with our vast range of stained finishes. Our tried and tested products include, coloured concrete, honed and polished aggregate, exposed aggregate Perth, and liquid limestone. A home is a pricy investment and in order to maximize its value, you need to incorporate the services of qualified, professional, and experienced experts if you want to adopt decorative concrete. This way, you are guaranteed of its durability. Our concrete services are certified and strive to collaborate with our customers to create a unique architectural concrete look specifically designed to meet your expectations. Whether you are after a new concrete patio, acid staining, epoxy floor, floor coatings, colored concrete, walkway, or concrete driveway. Our professional pavers provide a range of design options & floor finishes from you to choose from. After many years in the concrete resurfacing industry, we have mastered texturing slabs that has enabled us to carve a niche for ourselves in the industry. Today, we are among the top best decorative service and concrete overlay providers in Perth and surrounding areas. We strive to give our customers 100% satisfaction offering high-quality decorative concrete Perth products. Further, our customer service personnel are well trained and respond quickly to any enquiries. If you are in need of concrete repair or maybe even concrete polishing, contact us today. If you have any questions or enquiries, you can reach us through one of the contact details available on our website. We shall work together to ensure you are ultimately satisfied. Our design experts are always on the lookout for new, diverse designs and the latest in concrete color. We have a wide selection of interior and exterior decorative concrete for you to choose from such as custom concrete countertops, concrete stain work, and cementitious finishes. What’s more, our services are affordable. Regardless of your budget, you are sure to find a decorative expert that fits your needs. We understand the investment you have made to create your home. Our staff are experienced and qualified enough to protect both your home and the environment while executing their tasks. Apart from using environmentally friendly materials, we recycle all debris and leave your home clean and clutter free. Our team carefully selects concrete sealer materials to guarantee quality and durability for successful concrete staining. We understand that each of our customers’ decorative needs varies, whether that’s for your pool deck, concrete pool or floor coating. This explains why we discuss your needs and expectations first before embarking on your project. Our team is ready to give you recommendations where necessary. 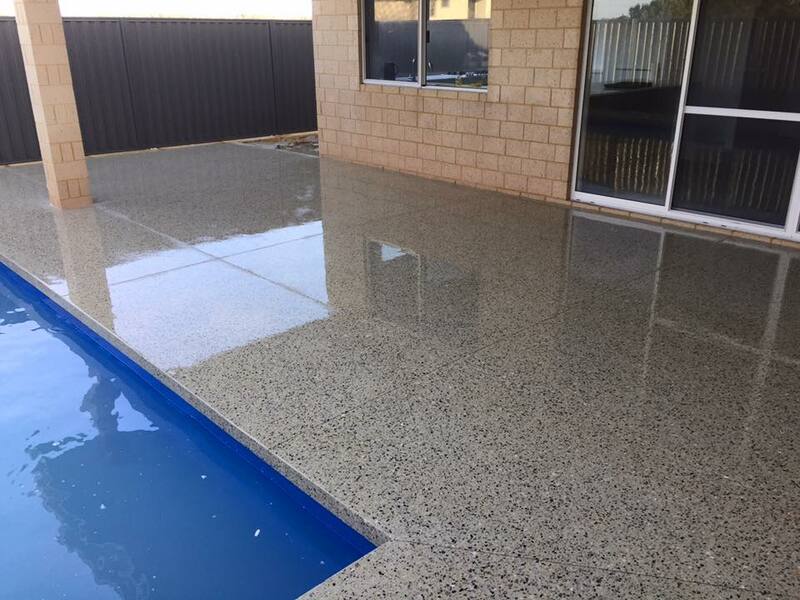 If you looking for acid stained concrete or epoxy coating, get in touch with us today, your decorative concrete Perth experts.